The ideal gift or stocking filler for all video gamers and Sci-fi movie buffs this Xmas is a Gift Voucher for Lazer Planet, Glasgow’s ultimate laser tag arena. 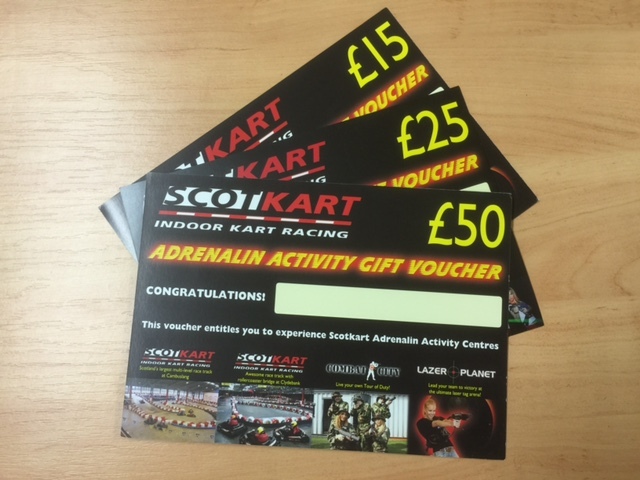 Brilliant for all ages – kids aged 7+, teens and family groups you can buy Glasgow laser tag Christmas Gift Vouchers online in any value at https://booking.bookinghound.com/scotkartgiftvouchers/vouchers.aspx or call 0141 641 0222 and order an ‘Adrenalin Activity Gift Voucher’ for £15, £25 or £50 which can be used for laser tag or indoor karting at ScotKart. Put a smile on your friends and families faces this year with Glasgow Laser Tag Christmas Gift Vouchers from Lazer Planet!